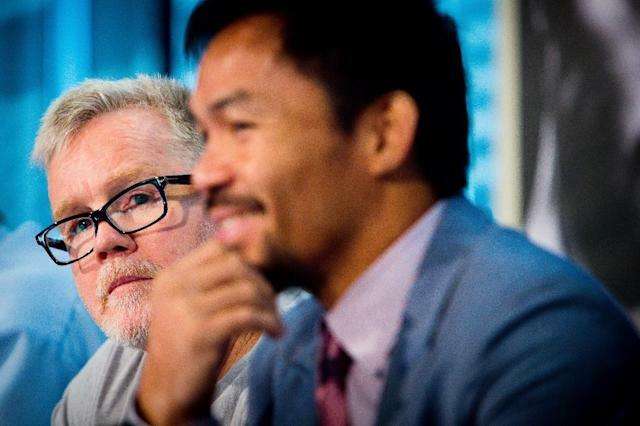 Los Angeles (AFP) - Filipino boxing star Manny Pacquiao has split with long-time trainer Freddie Roach, the veteran ring guru confirmed on Friday. "Manny and I had a great run for 15 years -- longer than most marriages and certainly a rarity for boxing," Roach said. "I wouldn't trade any of it. Inside the boxing ring and the political ring, I wish Manny nothing but the best. Matthysse, who has 39 wins including 36 by knockout against four defeats, won the vacant WBA belt after beating Thailand's Teerachai Sithmorseng in January.